Using LoyaltyLion and LimeSpot together allows you to turn more shoppers into buyers with in-store recommendations and bonus point incentives. 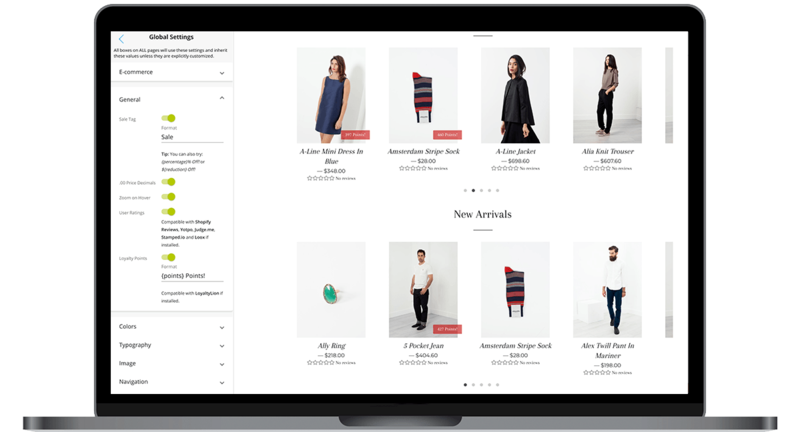 LimeSpot is an ecommerce conversion AI that helps online stores increase their revenue by delivering personalised upsell, cross-sell and product recommendations for each shopper across channels. LoyaltyLion and LimeSpot’s integration allows you to display potential bonus points for selected products within your LimeSpot-driven targeted recommendation boxes. Display the potential bonus points your customers can earn when purchasing certain products within your upsell, cross-sell, and all other LimeSpot-driven targeted recommendation boxes. Offering a point incentive for certain products increases your conversion rates, average basket size and revenue. Use LimeSpot’s A/B Test Tool along with Real-time Analytics to optimise your loyalty program performance. You can A/B test different scenarios with a variety of bonus point offers and recommendations to see how each component is performing. This will help you maximise your customer engagement and ultimately improve your conversion rates and revenue.